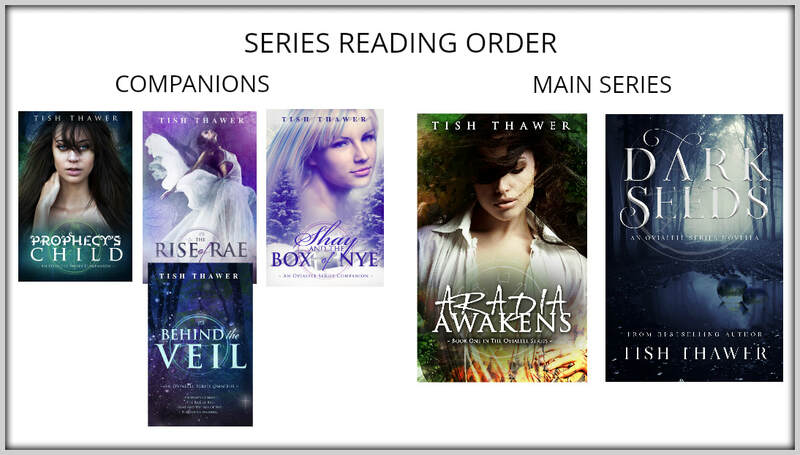 "TISH THAWER IS ONE OF THOSE AUTHORS WHOSE WORKS ARE MARKED BY SOMETHING INCREDIBLY SPECIAL. WITH EACH BOOK SHE WRITES, I AM AWED BY THE MAGICKAL ELEMENTS IN EACH NOVEL." "THE AUTHOR SKILLFULLY WEAVES A TALE SO INTENSE THAT YOU CAN'T HELP BUT WANT MORE." "I REALLY, REALLY LIKE THE WORLD OF OVIALELL. THE WORLD IS UNIQUE, COMPLEX, AND FULL OF ALL SORTS OF PARANORMAL SPECIES. THERE ARE WEREWOLVES, VAMPIRES, AMAZONS, GODDESSES, THERE ARE SO MANY INTERESTING ELEMENTS TO THE WORLD.﻿"
​​As evil creeps across Ovialell, the Goddess Diana searches for the Darkling responsible and the person pulling his strings. Little does she know that Fayln, the Unseelie fae queen, is responsible for so much more than siding with a Darkling. She’s also has taken something that could turn the tides in the upcoming war. Zakrill will do anything to regain what was stolen from his people, but the discovery of a mysterious item in the hands of the Amazons has everyone scrambling to put the pieces together to find out just who will have the upper hand in the end.